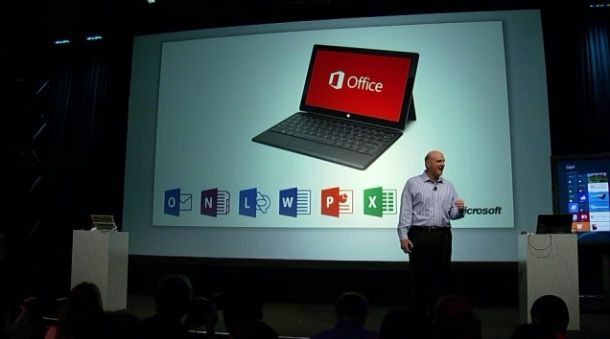 Microsoft announced Office 13 on Monday, which is scheduled for release alongside Windows 8 later this year. The software suite, which includes Microsoft Word, Excel, Powerpoint, Outlook, and OneNote, will include a number of new features including a complete touch interface, a Metro-style user interface, and better collaboration tools utilizing social networking and cloud services like SkyDrive. 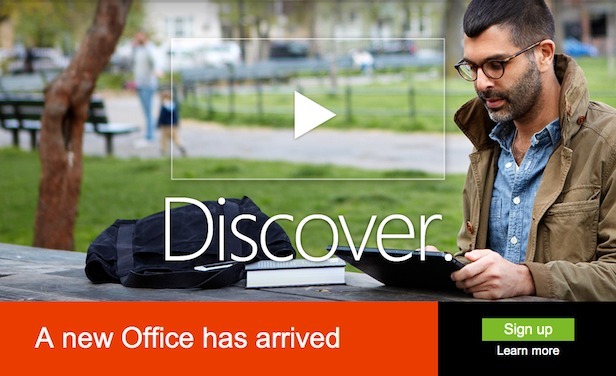 The preview build of Office 13 is currently available for users to try out now. You can download it by logging in with your Microsoft account by clicking here and selecting the first option, “For Home”. Five installations are allowed per user, and the installation will not override or delete your current version of Office.Installing Office 13 is easy enough, and offers two immediate standout features: constant cloud functionality and a very clean, very crisp interface. Cloud features utilize Microsoft’s SkyDrive cloud service, which offers 7GB of free cloud storage for documents, photos, etc. It also allows for editing documents through any web browser with a simplified version of Office for free. Office 13 saves the user’s custom dictionary, any templates created or saved, user settings, and even the last placement on an edited or read document so you can continue exactly where you left off. While we’ll need to spend more time testing all of the Office 13 applications, our immediate impressions are that they appear to function better than before thanks to smooth scrolling and typing instead of the previously jerky and instant typing and editing from before. Other new features include Live Layout, which allows for instantly dropping photos into documents and editing their size, and having word wrap update on the fly. In Excel, a feature called Smartfill automatically fills out cells to match data found in previous rows or columns such as names, inventory, etc.The new touch interface uses the same UI, but adds a radial menu for editing tools like adjusting font, color, taking and editing photos, etc. Touch is supposed to work with a finger or a stylus, but we're a bit anxious about it. During the demo, Corporate VP Kirk Koenigsbauer had trouble at one point and after trying to get it to recognize his specific touch command, skipped it in frustration. Microsoft is also ushering in live feeds, a social media hub, and a more in-depth collaborative design philosophy for Office 13. Users will be able to share documents, actively work on them together, add notes, and even IM or email directly within the documents themselves. Thanks to Microsoft’s purchase of Skype, Office will also feature Skype calls over the phone or web, as well as Skype IM services directly in shared documents. Office 13 will allow for conference calls to view and edit multiple documents at once, with various party members uploading, editing, or showing off parts of those documents simultaneously. 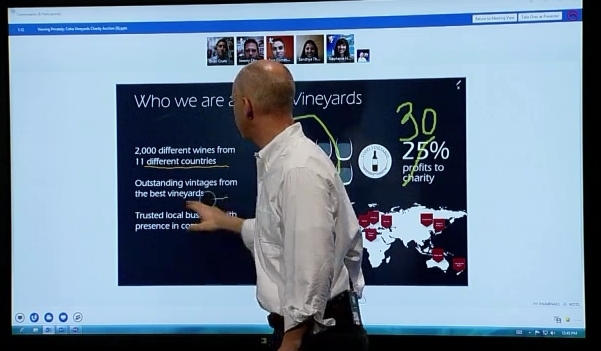 Users can even draw on documents in real time and everyone in the party will see the changes made in real time. The reading mode has also been improved with several different reading styles such as an inverted colors (white text on a black background) and touch controls. Text and images will also automatically be resized and formatted depending on the device you’re on, from a desktop to a phone. 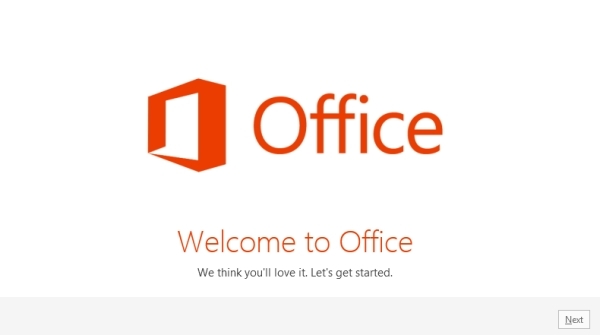 Office 13 will come to Windows 7 and Windows 8 later this year with the release of Windows 8, as well as Microsoft’s Surface tablet and Windows Phone devices. Microsoft has not announced if the latest Office Suite is coming to OS X (which it typically releases a year later as a separate product, ie. Office 08 for Mac, Office 11 for Mac). The download for the Office 13 preview is free so go try it out and let us know if you like it.